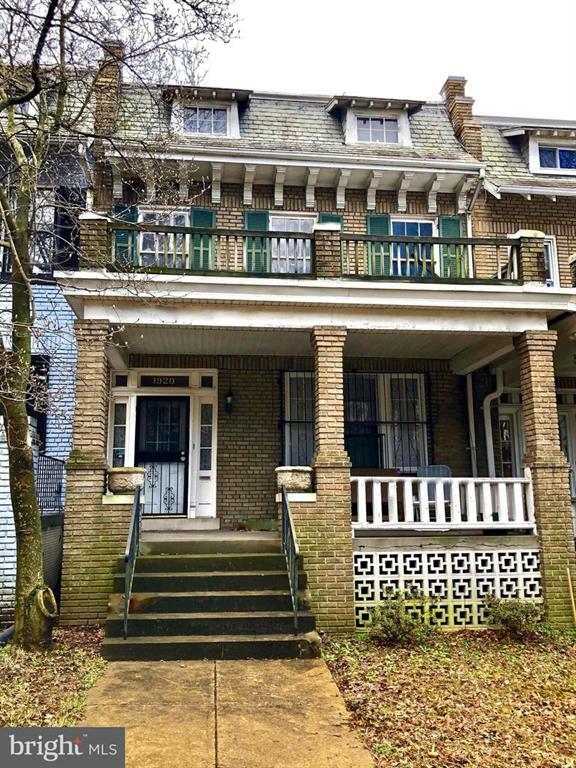 Perfect Renovation Opportunity in coveted Mount Pleasant! Wide and gracious townhouse in original condition awaits your custom design renovation.Original character,skylights, covered front porch, walk-up attic, spacious full basement, off street parking for 4+ cars, only a stroll to Rock Creek Park, Metro and myriad shopping and restaurant venues. Get into this hot market and build instant equity! © 2015-2019 KGD. All rights reserved.